Are dynamic objects lit by bouncelight from beast lightmaps? i made a simple test scene with indirect lighting. one static box and one dynamic box. the dynamic box does not seem to receive any indirect lighting from the scene. 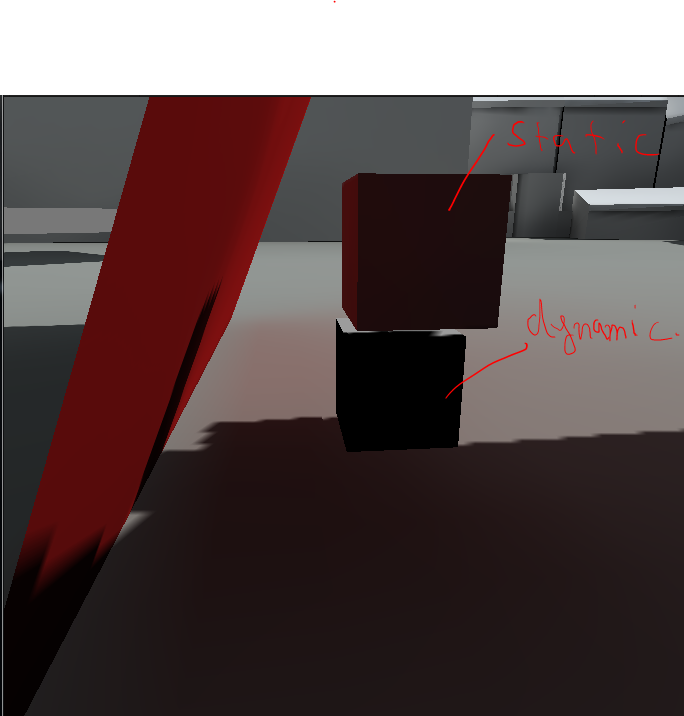 both boxes have default diffuse material attached. right now i'm faking the indirect lighting with pointlights for the dynamic objects. it there a better way to do it? Use a light probe group, it's exactly their purpose. A light probe is a static, invisible sphere that has light mapped onto it by the light mapper. Dynamic objects can go through light probe groups and calculate lighting depending on the probes they are closest to. edit: wow, i clicked on "last" in the list rather than "next". necrophilia ho!